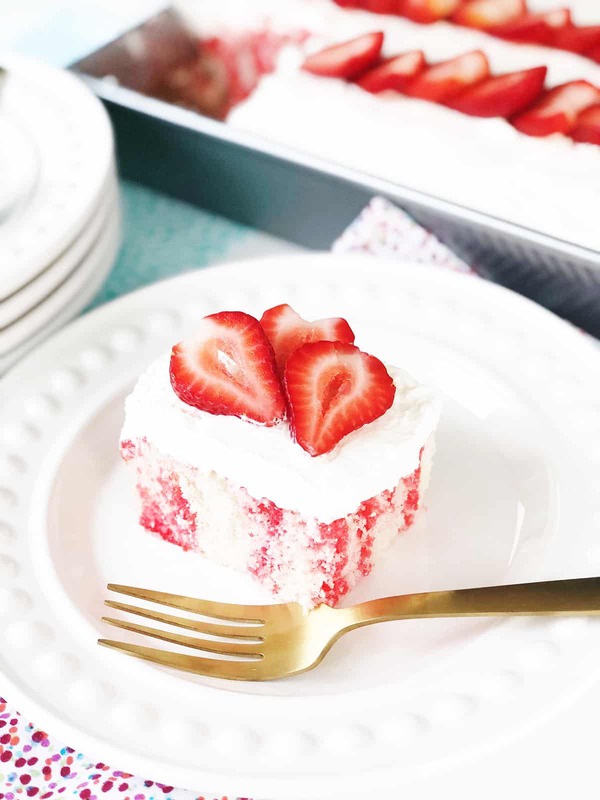 This Strawberry Jello Poke Cake Recipe is an easy and delicious dessert recipe! Vanilla cake with strawberry jello poked throughout the cake, and topped with whipped cream and fresh strawberries. This cake is always a favourite at parties! Growing up my Mom used to make me Jello cake for my birthday…it was a 2 layer cake with each layer a different flavour, usually grape and lime. I LOVED them so much. And since I’ve had my own family, Jello cakes have become the most requested birthday cakes around here as well. 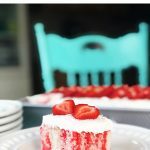 You just can’t beat a moist vanilla cake with Jello and whipped cream in every bite. SO good. As I mentioned, I usually make Jello cakes as 2 layer cakes, but they’re also really great made as sheet cakes. In fact, I think they’re much easier to make and serve this way. 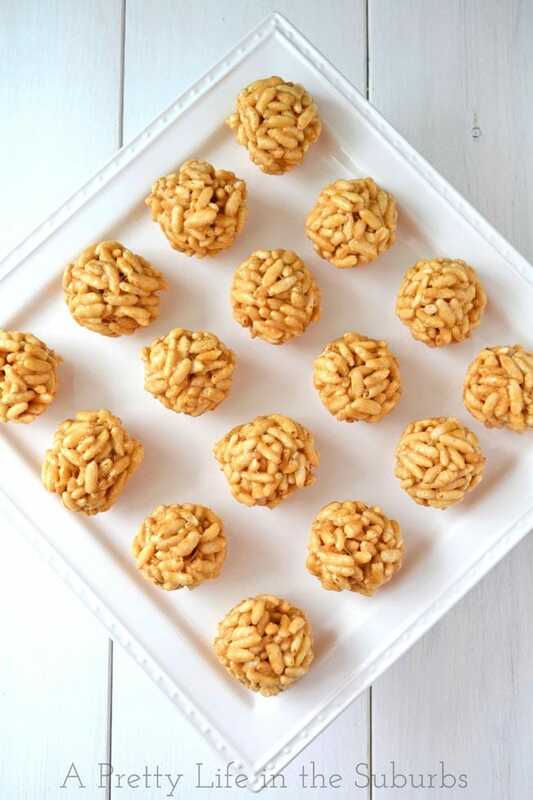 They’re especially great for serving a crowd. What I love most about Jello cakes, aside from the fact that they’re SO delicious, is how easy they are to make. I use a box cake mix, 1 box of Jello, whipped cream and fruit. Easiest dessert ever. 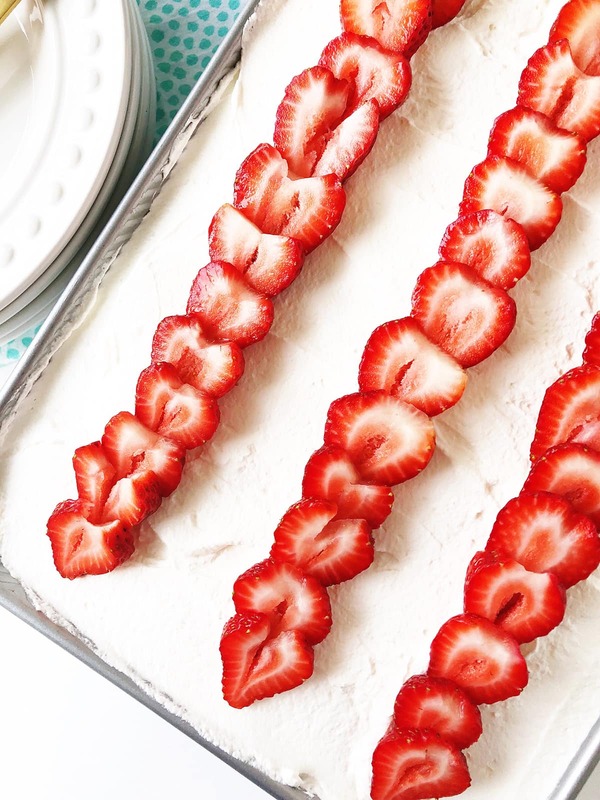 Sometimes life just calls for a box mix…but honestly, box cake mixes are delicious. First you bake a white cake, poke holes in it, then pour Jello all over it. Refrigerate it for at least 3-4 hours then top it with whipped cream. Simple right? Then I added fresh strawberries to go with the strawberry Jello. Delicious. And it’s such a pretty cake too! One of the nice things about making a Jello cake is that you can use ANY flavour of Jello that you would like…the possibilities are endless! This red and white strawberry version would be perfect for a Canada Day party! It’s light, fresh and delicious…a perfect summer dessert. 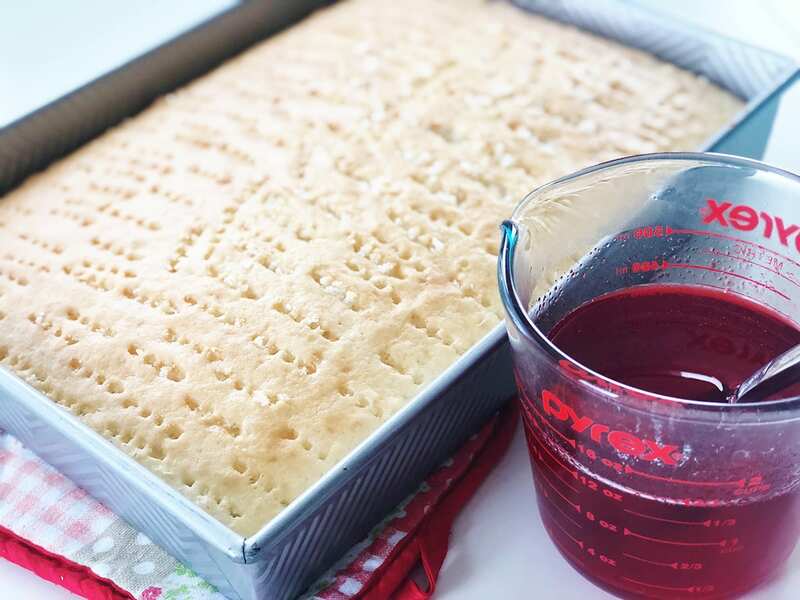 Prepare a 9 x 13 baking pan with a flour/oil spray (I like to use Pam flour spray). Make and bake the cake according to package directions. Once the cake has been baked, remove it from the oven, and let cool for about 10 minutes. While the cake is cooling make the Jello. To do this stir the Jello into 1 cup of boiled water until it is dissolved. Once the cake has cooled for 10 minutes, use a fork and poke holes all over it (see picture). Make sure you poke your holes deep so the Jello can get down into the cake. 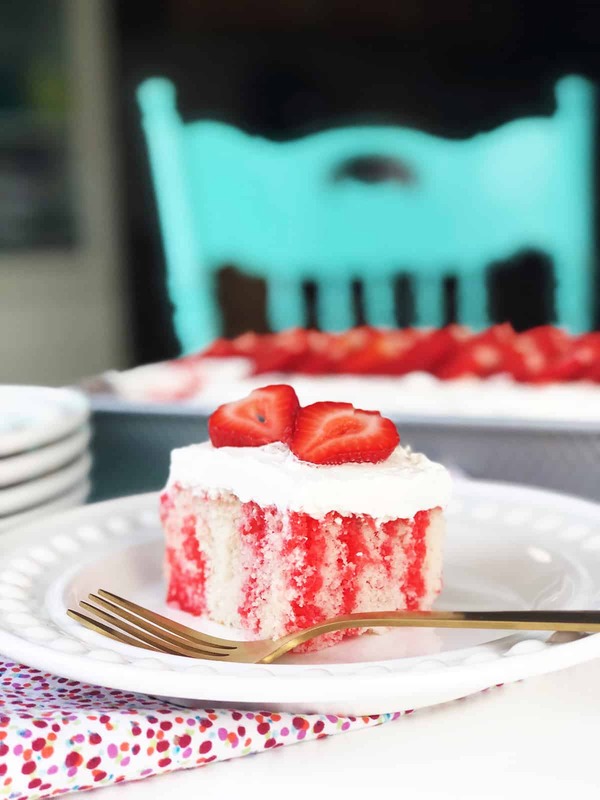 Pour the strawberry Jello all over the top of the baked cake. Then refrigerate the cake for at least 4 hours. Leave it un-iced. When the cake is ready to serve, ‘ice’ the cake with the whipped cream. 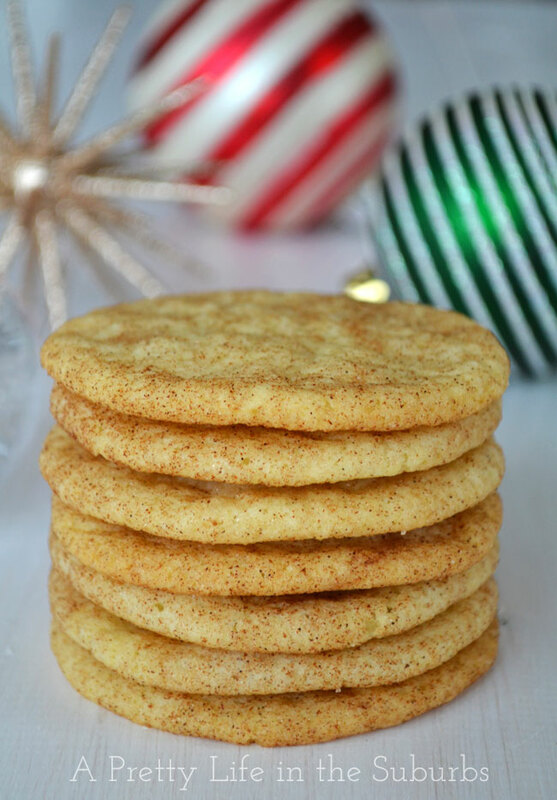 Here are more delicious recipes to try this summer! This looks awesome, Jo-Anna! 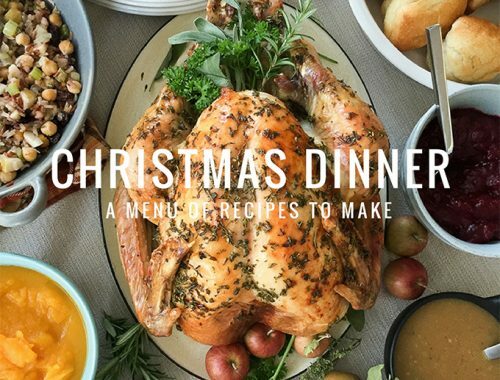 My boys would swoon if I brought this to the table – and it sounds like even I could manage it:) Thanks so much for sharing – pinned of course. And thanks for being part of this hop, friend! Jo-Anna- your cake ( and photos) look devine. 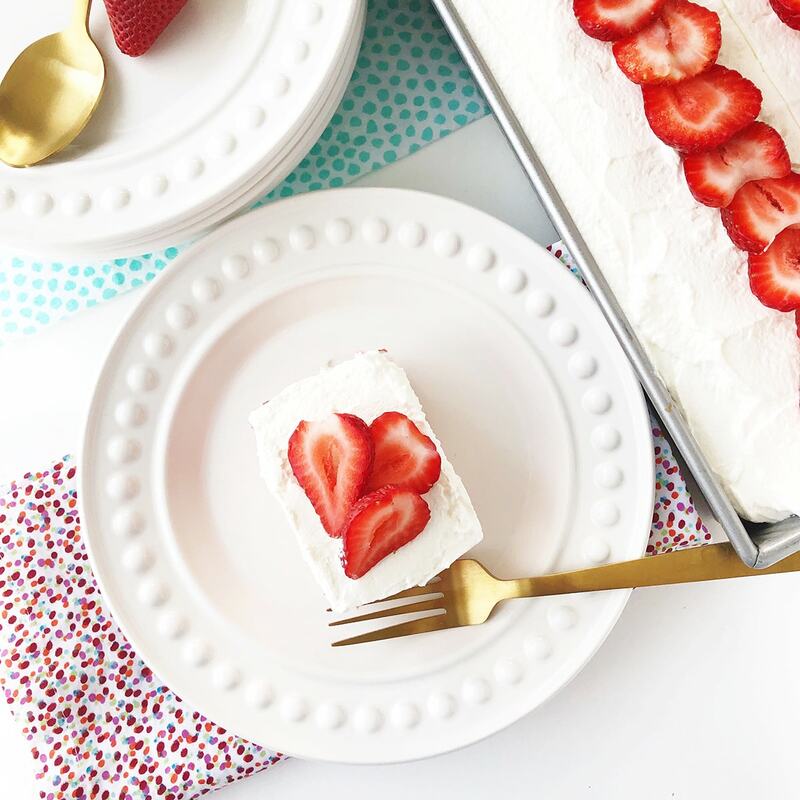 Growing up we would always have a poke cake…love them! Thank you Laura! 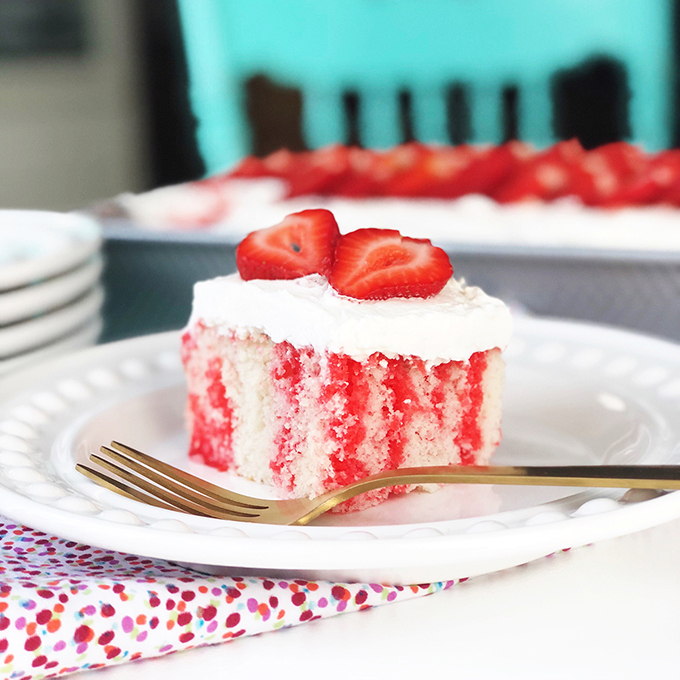 Poke cakes are the best…and SO easy! !